Yay for Sun! We’ve got some too. 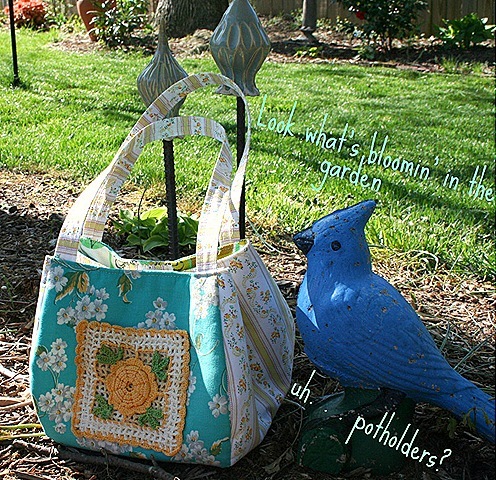 Love your sweet new bag, esp the potholder idea! We had a lovely sunny weekend here in Ohio, too! Gorgeous bag! The crocheted accent is the perfect touch. Oh My GOSH…that bag is too, too cute!!!! What a cute bag!! I love it.